The development of accurate diagnostic tools and surrogate markers of parasitological response to treatment are priorities in Chagas disease (CD) research. For years, the detection of Trypanosoma cruzi DNA by PCR has proved to be useful in some clinical scenarios like acute CD, including cases of congenital transmission, CD reactivation in immunosuppressed patients, and posttreatment follow-up. In that sense, the implementation of quantitative real-time PCR (qPCR) assays was an important step in the development of more reliable tools for CD molecular diagnostics and treatment follow-up. 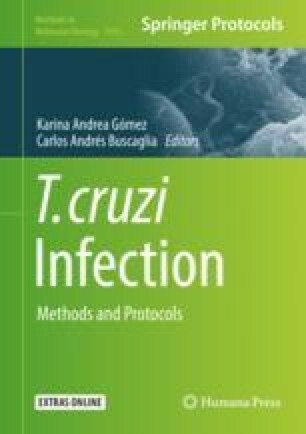 In the last decade, two multicenter PCR studies allowed the harmonization and validation of standard operating procedures for PCR-based detection and quantification of T. cruzi DNA in blood samples. Herein we describe the two most used protocols to quantify parasitic load in human blood samples by multiplex qPCR assays and discuss some aspects to consider during planning and executing these procedures.